Back pain is one of the most common problems we experience. In fact, it’s estimated that 8 out of every 10 of us will experience back pain at some point in their lives. It’s the number one reason for missing days at work and the number two reason for people to consult with their doctors (number one is upper respiratory infection). 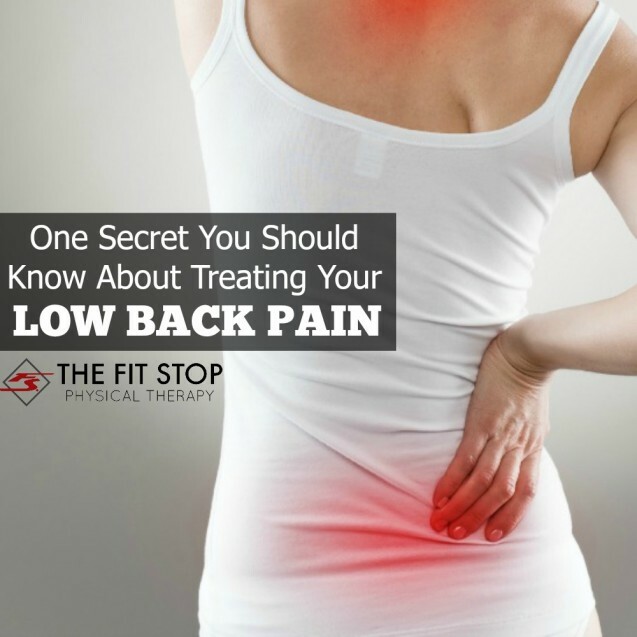 While the causes of low back pain are numerous, the treatments to get rid of it are just as plentiful. These treatments can range from incredibly expensive all the way down to simple lifestyle changes! Often when people come in to our PT clinics I find most patients’ back pain can be reduced by these very simple solutions; many of which cost little to no money. Today on the Fit Stop Blog, one of our back pain specialists, Cameron Garber, PT, DPT, is sharing a few of his favorite inexpensive tips for getting rid of back pain. How many of them will help your pain…? One of the best parts of my job as a physical therapist is the opportunity I have to get to know my patients on a personal level. 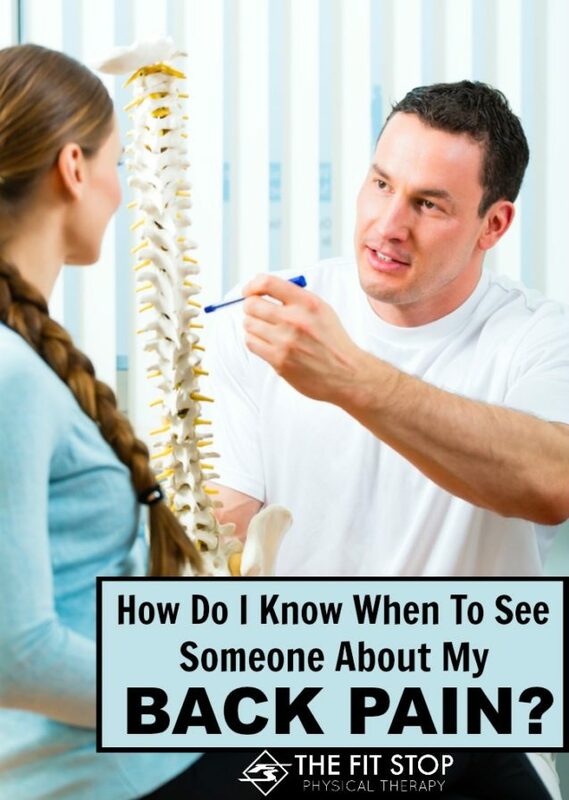 Physical therapists are unique in the healthcare field because we are able to spend a significant amount of one-on-one time with each of our patients (typical visits last about an hour). In comparison to the busy world of medicine, this is a welcome change of pace for patients. During this time together, I enjoy hearing their stories. I find the history behind my patient’s physical challenges and rehabilitation truly inspirational. A fairly unique aspect about working in such close proximity to a health club at the Fit Stop is to be able to see my patients through the transition from rehabilitation to wellness in the gym. I get excited when I see that transition happen! 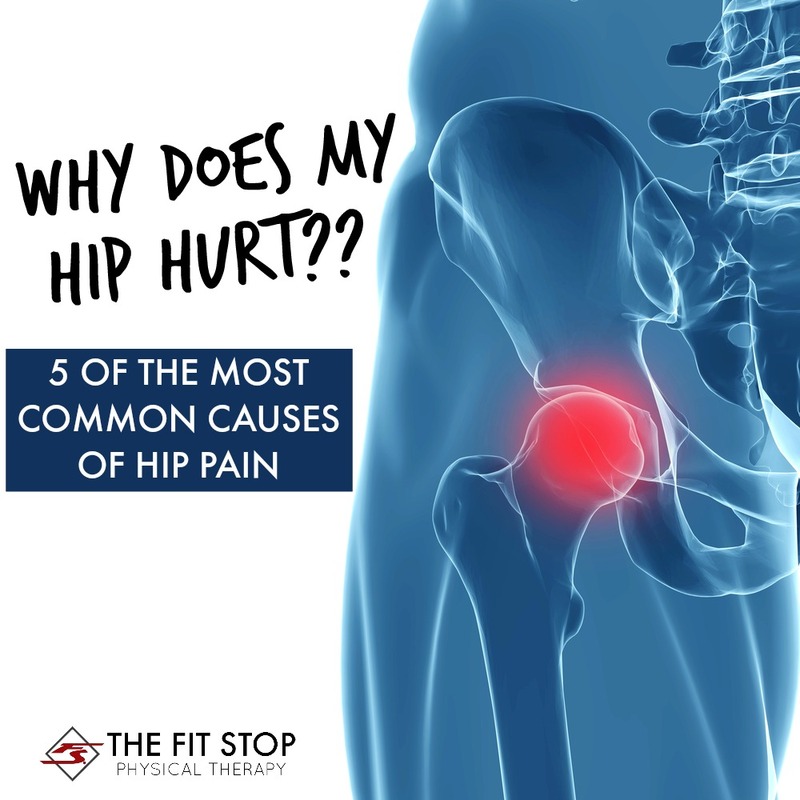 In our Fit Stop clinics one regular complaint that we hear from our patients and gym members is related to hip pain. Whether it occurs in the front, the side, or the back – it’s amazing how debilitating pain in this area can be! One would think that issues in this area should be fairly straight-forward to rehabilitate. However, given the multiple muscles, tendons, joints, and bones that are located in this area this pain can actually be quite tricky to diagnose. Today we have one of our orthopedic specialists, Toby Bluth, PT, DPT, here to discuss the 5 most common kinds of hip pain as well as the most likely cause of that pain. Keep reading for more! Muscle strains – what they are and what you can do to help heal them. We’ve all been there before (some of us more than others!) – it’s that one lift that was too heavy, the one sprint that was too fast, and even that one motion that tweaked things just right. Yep – today we’re talking pulled muscles here on The Fit Stop Blog! As a physical therapist this is a problem that I encounter in my patients on a daily basis. Knowing what they are and knowing the steps you need to take after it happens is vital to improving healing time and maximizing your potential for recovery. Today is all about muscle pulls – what they are, how they happen, and information you need to know to help you make a speedy and complete recovery.